Two weeks ago, I shared with you a conversation with Max Weinlaub, the winemaker for the Viña Maipo winery in Chile. While our Q&A session was mostly virtual, the Viña Maipo wines were not – I had an opportunity to taste 6 wines presented by Max during the session in New York. And I can sum up my impressions about Viña Maipo wines in one simple word – delicious. 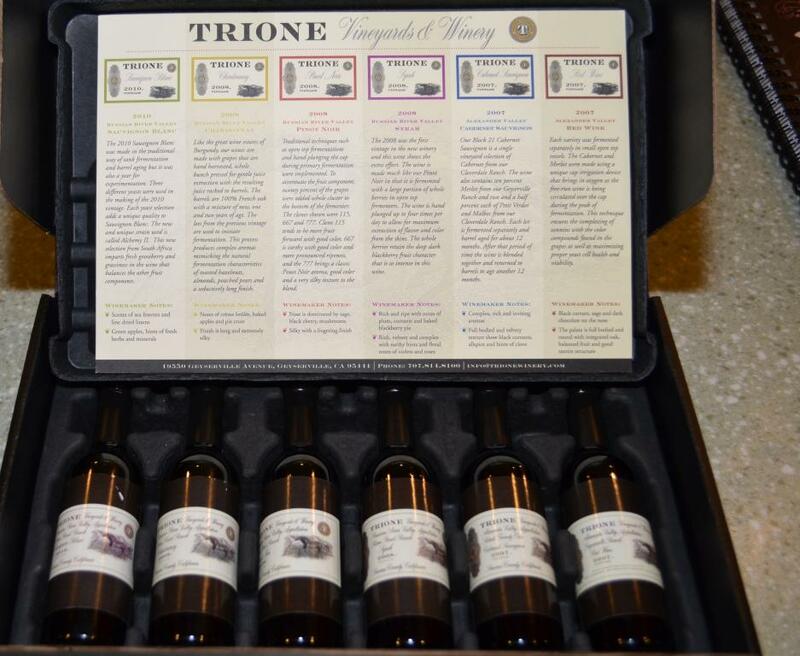 I have to honestly admit that even opening of the box was pleasant – I love it when the bottles are wrapped, it gives an oenophile an additional moment of play, an additional source of enjoyment. Of course, the nice wrapping is better be supported by the substance in the bottle – and it was, loud and clear, as you will see from my tasting notes. 2016 Viña Maipo Vitral Sauvignon Blanc Reserva (12.5% ABV, SRP $11) – 2016 was one of the best vintages for white wines. I had an opportunity to taste all of these wines over the course of a few days, and I have to say that literally all of them kept getting better and better. Viña Maipo Syrah wines are unquestionably a world class, but so are the Cab and Carmenere, and I would gladly drink both Sauvignon Blanc and Chardonnay every day – overall, one of the most successful tasting lineups I ever had. Have you ever had Viña Maipo wines? Have you ever had Viña Maipo Syrah or any Chilean Syrah for that matter? If you did, what do you think of them? Cheers! When I was invited to meet with the winemaker Max Weinlaub of Chilean winery Viña Maipo, one thing immediately caught my attention – Max was described as an advocate of the “new Chilean Syrah movement“. Syrah might be my all times favorite grape (secretly, of course – I would never admit it in public), so anything which has to do with the Syrah sounds interesting to me. I couldn’t travel to New York on the given date, but Patricia Clough from Gregory White PR was very accommodating and managed to include me in the live conversation and tasting with Max with the modern wonders of technology (thank you Patricia!). I was able to listen to Max presenting his wines and even ask questions and make comments – and all of it not with my fingers (in most of the “virtual” tastings we use Twitter or similar mechanisms to “talk” to the presenters – this conversation was refreshingly different). This was the tasting, of course, so I did taste the line of Viña Maipo wines, and in a word, the wines were stunning. But I will tell you all about the wines in the next post, as I reached out to Max with a bunch of questions, which he graciously answered despite being on the plane for the most of the time in the months, going around the world and introducing his wines. Max’s answers are great and well worth every minute of your time if you want to learn more about Chile and its wines. [TaV]: It appears that Viña Maipo was one of the Syrah pioneers in Chile, planting it in 1990. Are there any wines from those early vintages still around? Did you have a chance of tasting them? What do you think of them if you did? 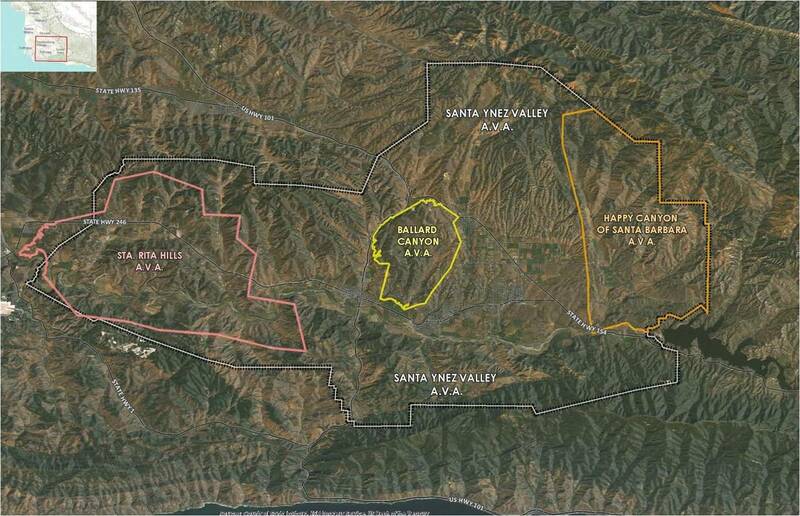 MW: Even though the vines were planted around 1998, the grapes were blended with other red grapes. In 2005 the grapes were used to make Limited Edition for the first time. 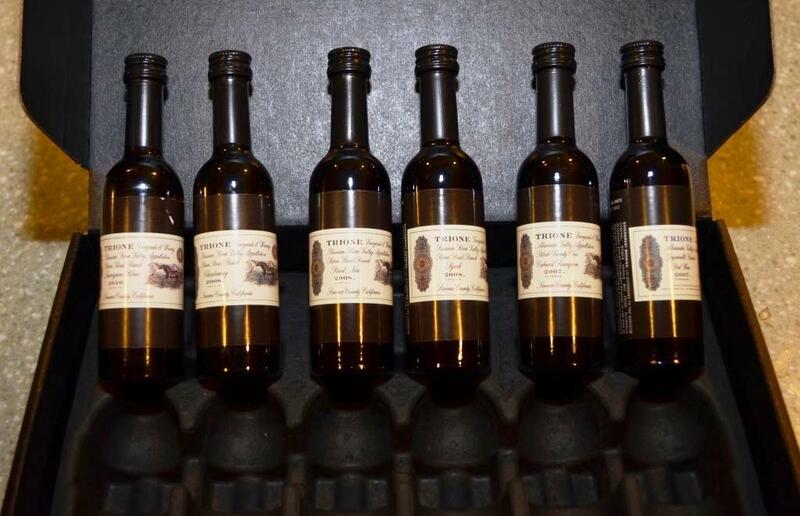 We still have bottles of that vintage. I have had the opportunity to taste it, but the style has evolved year after year. 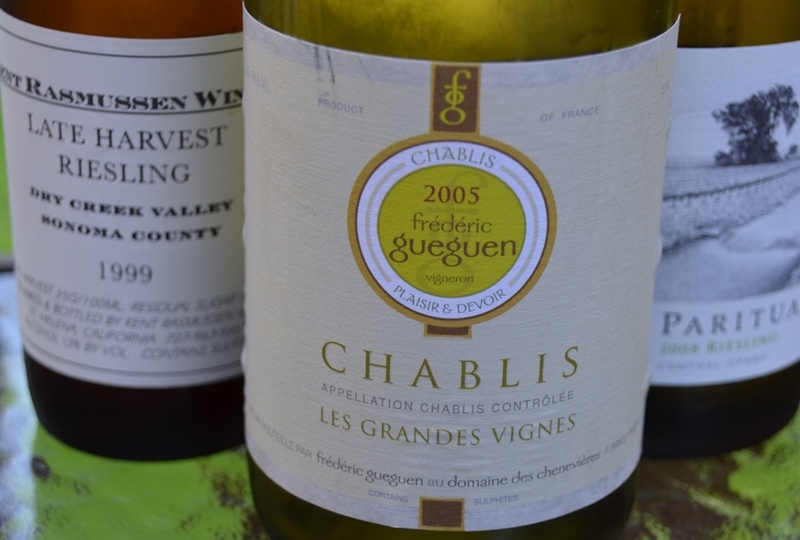 To me, the first vintages were bold and too ripe. In recent years, I have been turning to a fresher style with a better balance and great ageing potential. [TaV]: Since starting at Viña Maipo almost 10 years ago, did you make any changes in the way Syrah grapes are grown or the way the wines are made? MW: Since I started as chief winemaker in 2007 it has been an endless learning process in direct connection with understanding how the vineyard behaves under different climatic conditions and canopy management, and noting the changes as the vines age each year. Today, I have a better knowledge about our Syrah grapes to express the varietal’s maximum potential with a clear sense of origin: Syrah from Chile. If I compare the last 10 years, I definitely see a change in the style of Viña Maipo’s wines —building towards better elegance, power, balance, fruit expression and oak impact. [TaV]: Why Syrah in Chile? Do you think that Syrah is the next big grape for Chile? MW: Until the first half of the 90’s, Chile was known for producing Cabernet Sauvignon, Merlot, Chardonnay and Sauvignon Blanc. Carmenere was re-discovered just in 1994. So the general perception of Chile was as a reliable producer of inexpensive wines but without many options to show (in terms of grape varieties). At the same time, Australia was living golden years with its Shiraz, so many winemakers thought that maybe Syrah could be introduced in Chile. Some clonal material (stocks) were imported and multiplied by a couple of nurseries in Chile and then, we neared the end of the decade, the first Syrah grapes were harvested with pretty good results. Thanks to a joint venture with one of those nurseries, Viña Maipo was one of the first wineries that planted Syrah in the country. In my opinion, Chile has been and will be widely recognized as a great place of origin for Cabernet Sauvignon. But at the same time other grapes, especially those from the Rhône Valley, have adapted extraordinarily well to the Chilean terroirs — and Syrah is by far the best example of that. 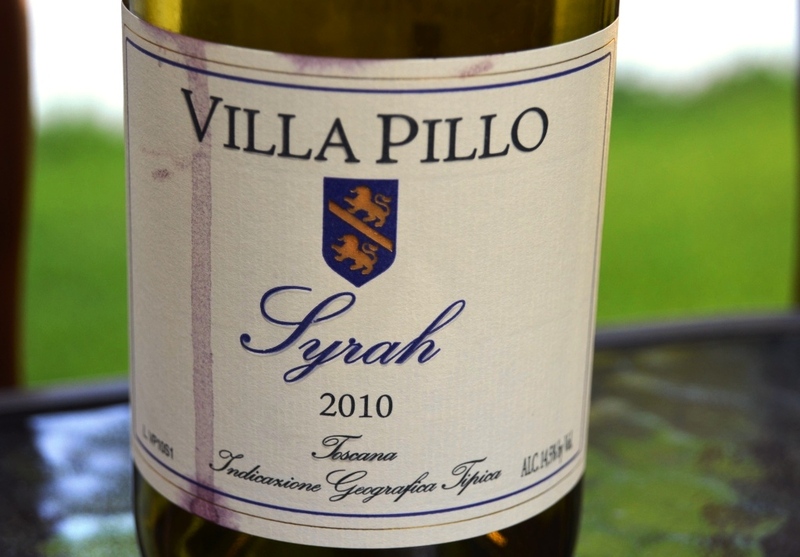 If you consider that nowadays the oldest Syrah vines are around 20 years old and already are producing high quality wines, then you can clearly see a bright future with this grape variety. [TaV]: When making Viña Maipo Syrah, is there a region (Cote-Rotie, Hermitage, Cornas, Barossa, and Santa Barbara) or a wine maker (Guigal, Chapoutier, …) which you see as a hallmark and try to achieve some similarities with? MW: The regions you mention (with their singularities) plus the talent and skills of those renowned family names have made some of the most iconic and unique expressions of Syrah grapes in the world. From those wines I learned that Syrah is able to make outstanding wines with a great potential for ageing even comparable with some Cabernet Sauvignon. My humble dream is someday to be part of that “Hall of Fame of Syrah” world, to be recognized as a previously-unknown Chilean winemaker named Max Weinlaub who made a jewel with Syrah in Chile, standing along with those big names. [TaV]: You are blending Syrah with Cabernet Sauvignon and vice versa, which is quite unusual. Why do you think these two grapes work together? Are there any other regions in the world where Syrah is successfully blended with Cabernet Sauvignon, or do you think this is purely a Chilean phenomenon? MW: I do believe in the synergy between their different but complementary components when you blend the right way. 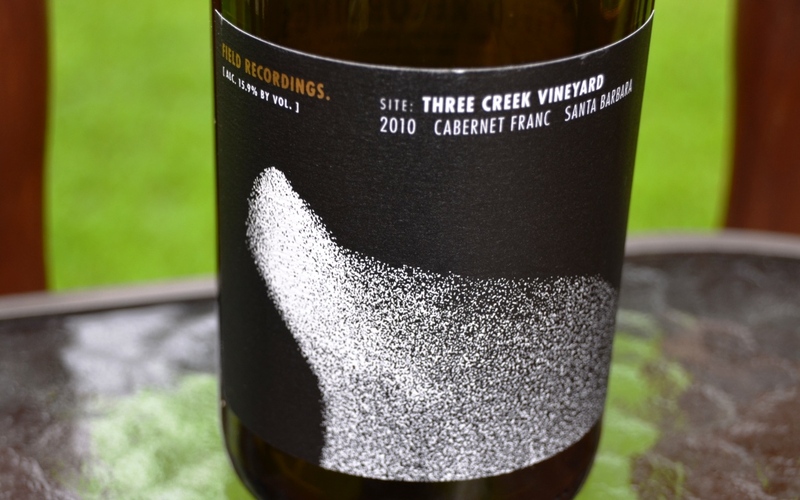 This is the best evidence that winemaking is closer to an artistic expression than to math because 1+1 is more than 2. 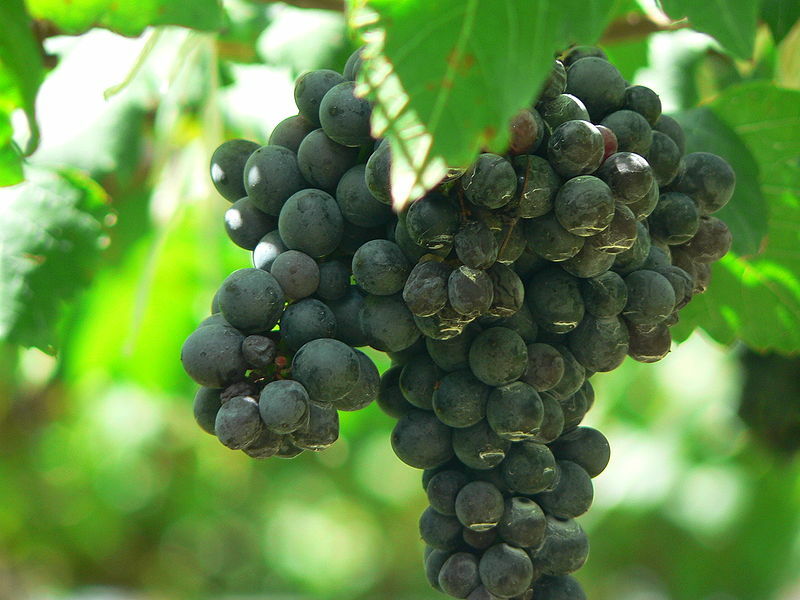 Syrah is a fantastic grape to make single varietal wines, but also for blending. Sometimes the Cabs are too classical, too serious for me. 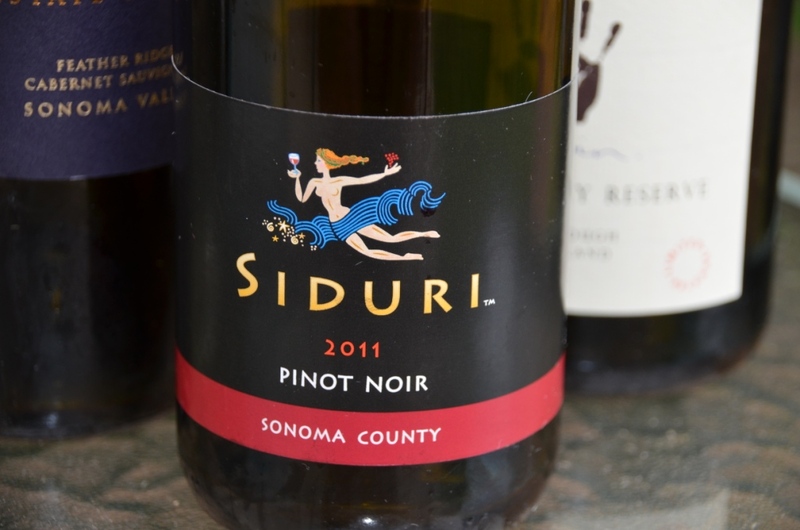 I used to define the Syrah variety as “fireworks in a carnival”…it has lots of color, intensity and rich flavors. So Syrah plays an important role shaking up or adding verve to a (sometimes) circumspect Cabernet Sauvignon. My aim here is to make a more distinctly South American or Chilean style of Cabernet Sauvignon. In another style, I add a smaller percentage of Cab to Syrah to increase the structure or backbone of the wine. As part of its nature, Syrah’s tannins are soft but non-structural – so hence the need for the strength and structure of Cabernet Sauvignon. You can find this blend of Cab-Syrah or Syrah-Cab elsewhere and it works well for me, and I intend to keep perfecting it. [TaV]: Pinot Noir seems to be fast growing in popularity in Chile. 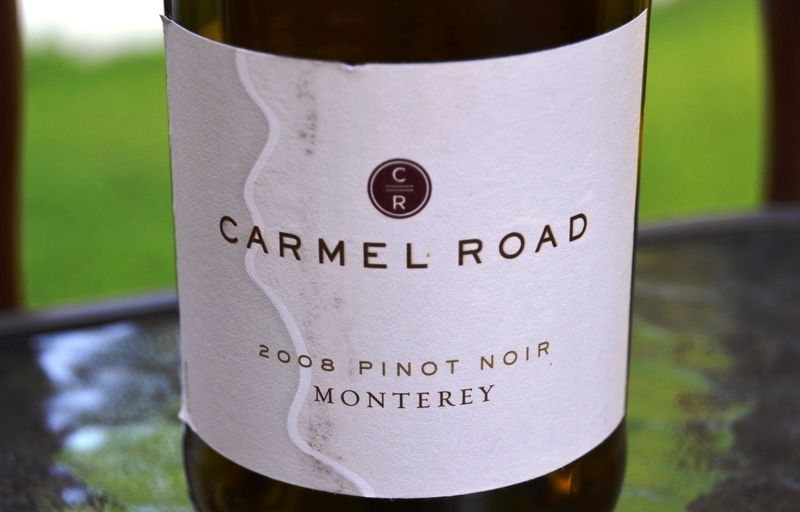 You don’t make any Pinot Noir wines – do you have any plans for it? What do you think overall about Chilean Pinot Noir? MW: I think that finally there’s a bunch of very good Pinot Noir produced in Chile thanks to the better knowledge of the grape variety in terms of terroir, viticultural management, clonal selection and winemaking. Pinot Noir is a challenging variety that sooner or later many winemakers—who tend to thrive in challenges–try to produce his/her own version. I’m having a lot of fun and joy producing Syrah (among other grapes of course) so Pinot Noir will be in my “101 things-to-do-before-to-die” list for a while. [TaV]: Many wineries around the world add sparkling and Rosé to their repertoire – do you have any plans for Viña Maipo to start producing sparkling or Rosé wines too? MW: We produce sparkling and rosé too!!! As we have a limited capacity (in terms of volume), the production of sparkling is allocated to certain markets – so it is not currently part of our global portfolio. Our rosé is sold largely in Nordic countries at the moment. We could taste both wines next time I see you. [TaV]: How old are the oldest vines at Viña Maipo? MW: The Cabernet Sauvignon vines are the oldest planted in our vineyards. Today, some of them are reaching 40 years old….just like me. [TaV]: Don Melchor is an uncontested flagship wine for Concha e Toro, with very high critic ratings (98 from Suckling, 96 from Wine Spectator). Do you think Alto Tajamar will beat Don Melchor’s ratings one day? [TaV]: When it comes to the white grapes of Chile, Chardonnay and Sauvignon Blanc are, of course, well established and well known. Is there a next big white grape for Chile? MW: Chile is a paradise for grape growing due to its diverse terroirs, stable weather and healthy environment. Even though Chardonnay and Sauvignon Blanc are widely planted I’m sure there are new areas where some other white grapes could produce great quality wines, such as Verdejo or Godello, both grapes especially recommended for warm climates. There are some very interesting Rieslings and Gewürztraminer. But the problem with those grape varieties is the almost relatively little commercial success we’ve seen when are produced outside of their home countries. I have the feeling that the only white grape that could succeed (technically and commercially) is Pinot Grigio. [TaV]: What are the biggest export markets for Viña Maipo? MW: By far the UK and Nordic countries at the moment, but there are some interesting opportunities to grow in other areas especially in Asia. Asia is a great market with its own codes and tempo (rhythm). We’ve also been focusing on the U.S. to a greater extent and I am very much looking forward to spending more time in the market. [TaV]: Continuing the previous question, how big is China, and it is growing, flat or declining? MW: China is just awakening!!! And everybody is trying to get a space in China since the Dragon feels thirsty. They are starting drinking wine, more often for Gambei (heavy duty toasts) rather than for joy, learning or food matching, so there are some things to do in terms of wine culture and education. [TaV]: Do you have a favorite vintage of Viña Maipo Syrah? MW: Always the last one!! !… Because it’s better than the previous one. Maybe it’s because the vines are becoming older and I’m turning older too (and hopefully wiser)!!! 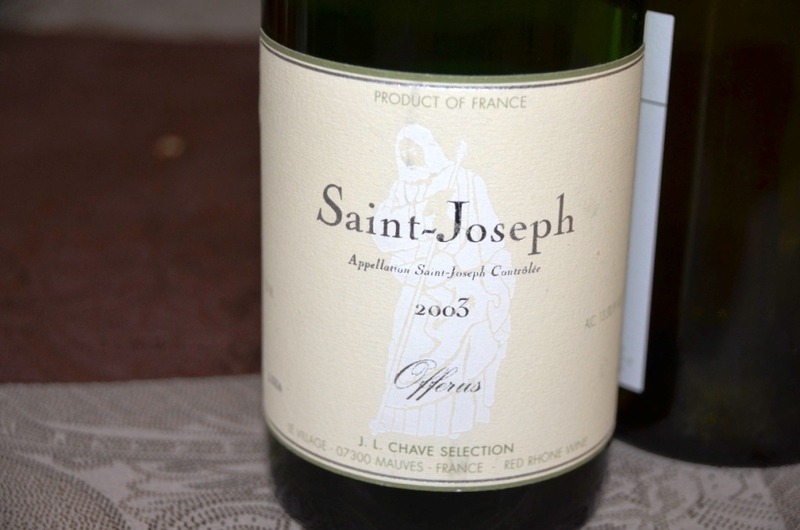 [TaV]: When you are not drinking your own wines, what are some of your favorite wines and winemakers around the world? 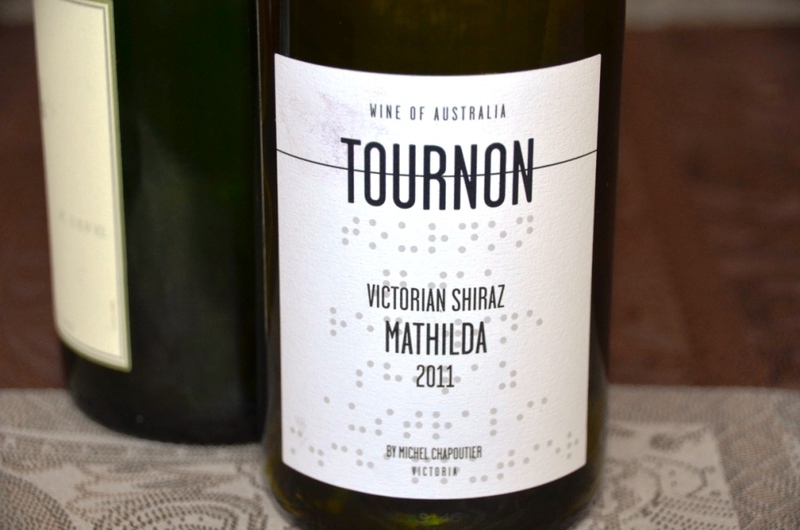 MW: More than follow a label, brand or winemaker, recently I have been discovering regions. I’m currently really intrigued by German Rieslings (especially old vintages from Mosel River) and some Spanish red grapes such as Garnacha (aka Grenache), Mataro (aka Cariñena or Carignan), Graciano, Mencia and Bobal. We are done here, my friends. I really enjoyed our conversation with Max, and I hope that the next time we will sit across the table and taste his delicious wines together. You might be thirsty at this point, so I hope you have something to drink – and the next time I will tell you all about delicious Viña Maipo wines I had a pleasure tasting. I can only say that I would gladly drink those wines at any time… Until we talk again – cheers! A month after, but we are on the finishing stretch! Don’t know if it makes sense to provide such a detailed account of the day’s events now – but, I feel compelled to complete this self-appointed assignment. Here is what was happening during the Day3, technically the last day of the Wine Bloggers Conference (here are my notes from the Day 1 and Day 2). We started our morning a bit earlier than the day before, and with the breakout session, not with the brunch (yeah, I was getting very comfortable starting to drink the wine at 10 am, but no…). From the group of offered breakout sessions I chose the one called Business of Blogging. Considering the amount of time, hard work and obsession going into all of the blogs, it is only reasonable to expect that bloggers would be interested in learning about the ways their passion can bear some tangible fruit (yep, I’m talking about money here). Ethics – your reputation is all you got. Make sure you have the business ethics rules, and follow them. Referrals! (Cooperate, don’t compete) – help the others, and they will help you. Say no when necessary – don’t take upon every project which might be coming your way – sometimes, “no” is the best answer. Clarify and define – work on your offerings! Negotiate – find the way to get what you want! 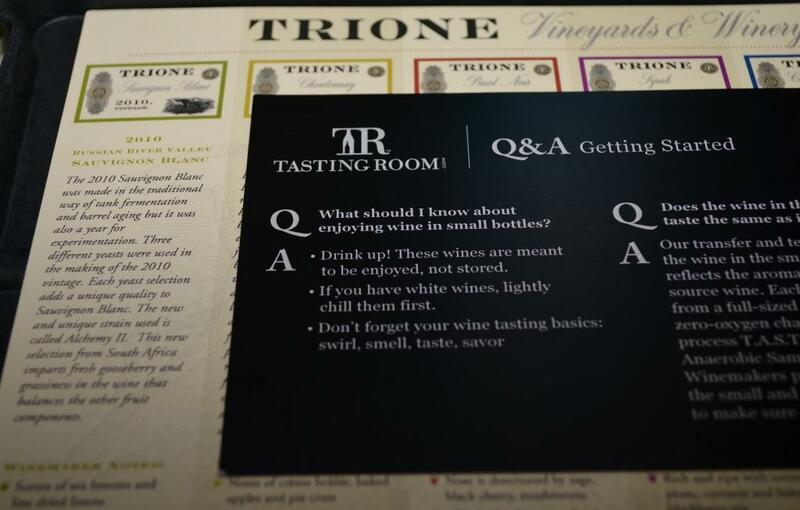 Second breakout session was about Search Engine Optimization (SEO), and still no wine…. SEO is literally one and only tool bloggers have to be found and to build the listening audience. The session was presented by Timothy Resnik from the company called Moz, which provides set of tools for search optimization and web site analytics. Timothy’s presentation was excellent and very detailed – unfortunately, I can’t take an advantage of most of his suggestions, as it requires a self-hosted blog web site, such as WordPress.org, and I’m using here WordPress.com, where I pretty much have no control over analytics data. Just in case this information might help you, Timothy’s presentation is available on SlideShare – here is the link. We started afternoon again with the breakout sessions. This time all the sessions were dedicated to wine and of course, included the tasting (Theme: Wine Discovery Breakout Sessions). Out of the 3 available, I picked Ballard Canyon Syrah session (two others were Sanford Winery Sta. Rita Hills and Wines of Greece) – I love Syrah in all forms, and I never heard of Ballard Canyon, so it was an easy choice for me. 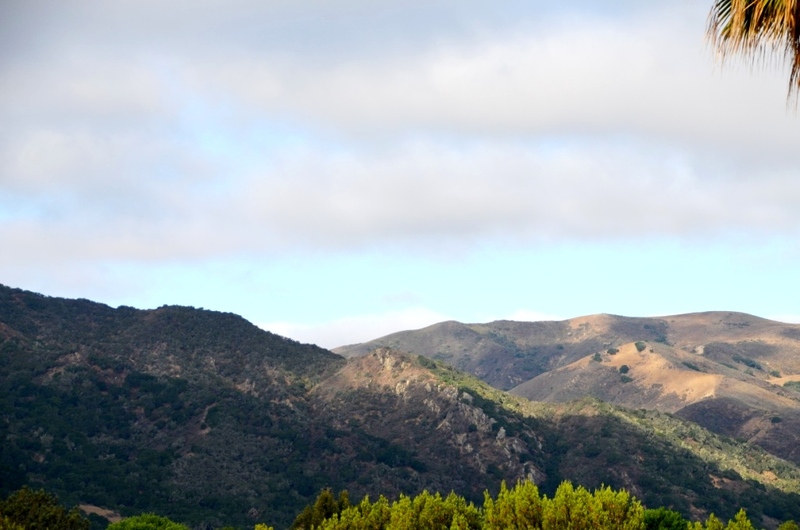 Ballard Canyon AVA was created to capture the essence of soil and climate through the noble grape, Syrah, which is significant enough for this AVA to be known as “Syrah Territory”. Well, yes, Syrah is not the only grape growing in Ballard Canyon AVA, but Syrah plantings exceed plantings of all other grapes, red and white, combined. The session was presented as a panel discussion, with Patrick Comiskey, Senior Editor for the Wine & Spirits Magazine starting it off with introduction into the state of Syrah in the US. Patrick is one of the leading authorities on the Rhone varieties (and Syrah is squarely one of them), and he is also writing the book on American Rhône movement. I was surprised to hear from Patrick that Syrah is not doing well in US, that it is very difficult to sell and it doesn’t get much recognition. Leaving Shiraz aside for a moment, best known Syrah wines in the world are coming from France. If we will compare Syrah with Cabernet, Merlot and Pinot Noir based on the French wines, and then will look at the US, the proportions of popularity/demand are about the same. And thinking about all the cult and impossible to get wines such as Sin Qua None, Alban, Saxum, Cayuse, No Girls and many others, I think Syrah is doing not that bad… Oh well, I would love to debate it with Patrick over a glass of 1999 La Landonne, but let’s get back to our Ballard Canyon session. Our day continued with the Panel of Professional Print Wine Writers. Steve Heimoff, James Conaway and Mike Dunne, professional journalists, wine writers and authors of a number of wine books, talked about various aspects of the wine writing. 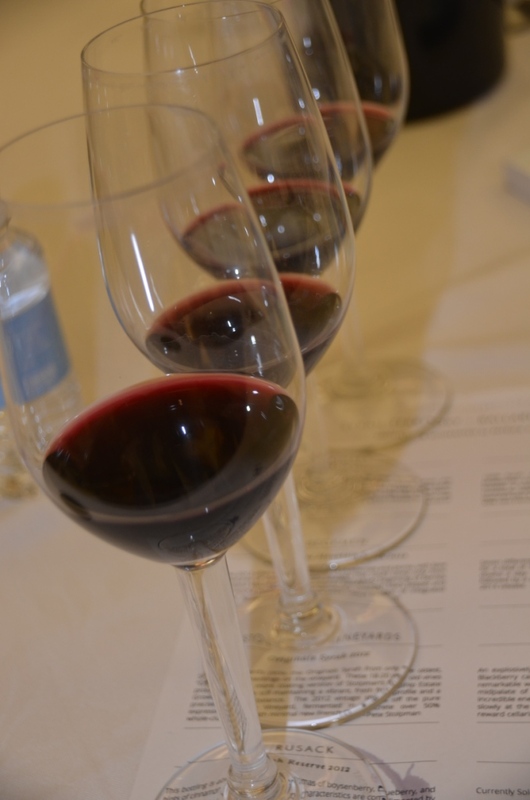 This happened to be one of the most controversial panels of the WBC14, which generated multiple blog posts and whirlwind of opinionated exchanges among the participants. 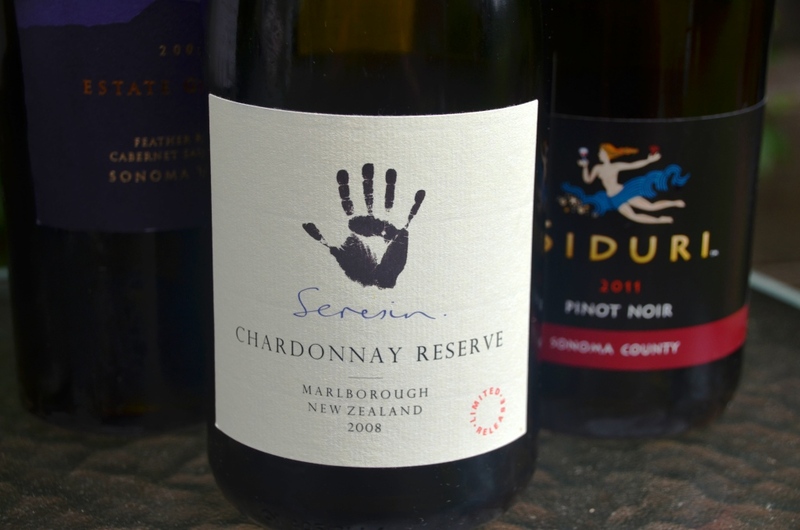 I would have to agree with the Messrs. Heimoff, Conaway and Dunne that in a big schema of things, the quality of writing in the wine blogs can be greatly improved (this very blog you are reading is definitely the subject of such criticism). For the rest of it, just google “Panel of Professional Print Wine Writers wbc14”, and you will get tons of reading material blasting this session, presenters and content – though I have to say that I disagree with a lot of popular criticism. When presented with information, often it is our personal choice whether we will see it as positive or negative, so let’s leave it at that (yes, I do think it was a useful session overall). Moving on, our next session was the Live Wine Blogging – The Reds, the speed tasting of the red wines, which I already covered in the full detail here. Well, it was actually the last organized session for the day. We still had more wine to drink events in the agenda, but from point of view of the organized sessions we were done. Last two events of the day – Wine Blog Awards Presentation and Dinner. 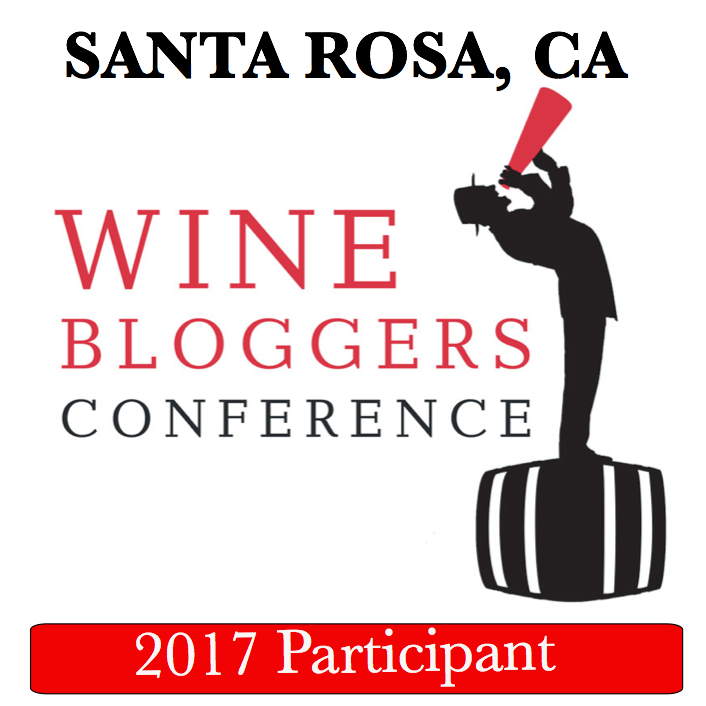 To me, Wine Blog Awards feels like a coveted achievement. However, for the last three years, watching the process of nomination, then selection of the finalists and then, for the first time, presentation of the awards, gives me only a thought of diminishing returns. The duration of the time for nomination is literally reducing from a year to a year, and nomination period is open out of blue (I don’t know if this is the attempt to reduce the number of nominations?). This year, we didn’t even know who the judges were. Selection of the wine blogs for the finalists is very strange, as many of the same blogs are nominated for the different categories, and moreover, the blogs are nominated year after year after year. And finally, out of the 9 awards, only two winners were present at the WBC to pick up their awards… It is funny that if you go to the Wine Blog Awards web site now, instead of finding information about the 2014 winners, you can finally find out who the judges were… The whole wine blog awards process needs a revamp and a fresh start, it is way too disorganized as it is. You know what – this blog post is becoming one of the longest I ever written, so I need to round it up. The food at the dinner was okay, the wines were very good – there was a good selection of the Santa Barbara County wines present at every table, and the selection was different from the table to a table. After dinner, there was more wine – not only parties continued in the number of rooms and suites, but also a number of people brought the wines with them to share, and it was really the last night to drink them. I tried for the first time Horton Norton from Virginia – I had Norton wines before, but this was the first time I tried any of the Horton wines, which is considered one of the best wineries in Virginia (the wine was excellent). Then there were Texas wines, courtesy of SAHMMelier. She brought 2012 Brennan Vineyards Viognier (perfumy and delicious) and 2011 Bending Branch Winery Tannat (powerful and sophisticated). We also tasted 2001 Cottonwood Canyon Pinot Noir Santa Maria Valley (fragrant and beautiful for the 13 years old wine), and 2011 Kalyra MC2 Santa Ynez Valley (restrained and balanced). For some reason, I’m under impression that there was also a wine from Oklahoma (! ), but – no picture and no notes, so yeah, it is my loss. Last thing (I promise) before we are done – I would like to thank Zephyr Adventures and Santa Barbara Vintners for the great event they put together for all the wine bloggers. 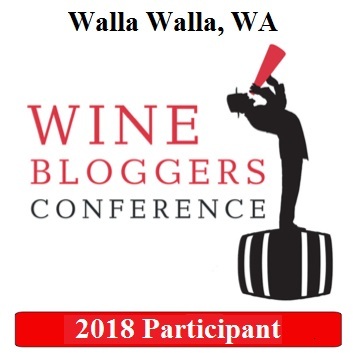 I know firsthand how hard it is to organize a great conference, and especially considering the size and diversity of the wine bloggers group, I can only say wholeheartedly “Thank you very much! !” for all the hard work put into bringing together such a great event. Yes, we are done. If you are still with me, thank you very much for reading. Cheers! 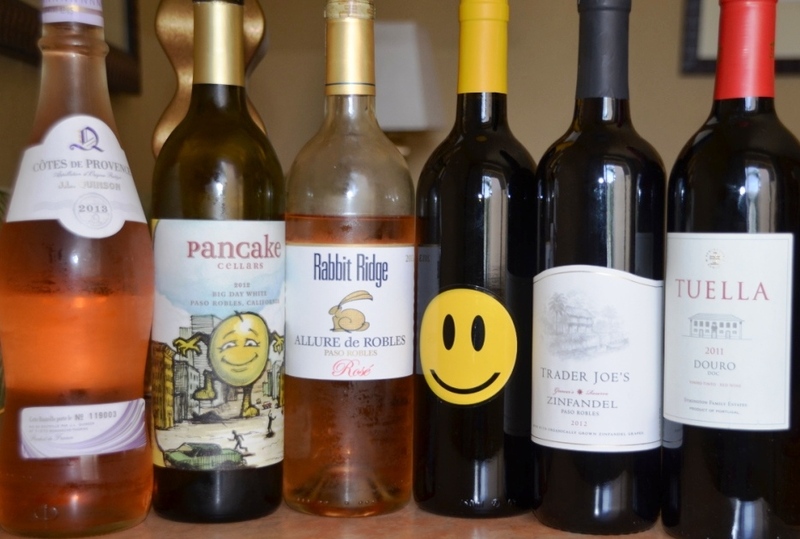 On the multiple occasions, I wrote about Trader Joe’s wines in this blog. I generally only can taste them when I travel, as Trader Joe’s stores in Connecticut can’t sell wine. Thus if I’m in the close proximity of the Trader Joe’s store, and schedule allows, I always make an effort to taste something new. While Trader Joe’s wine selection generally includes wines at the different price levels, my focus is always on the most inexpensive wines. The rationale is simple – at $9.99 and above, there is a great selection of wines in my neighborhood wine store. At the same time, there is practically nothing in the $4.99 – $6.99 price range, thus it is very interesting how good (or how bad) such wines can be. In general, I can’t complain about Trader Joe’s wines. My typical “success rate” is somewhat of the 3 out of 4 ratio – if I would taste 4 wines, at least 3 of them would be at “I want to drink it again” level. 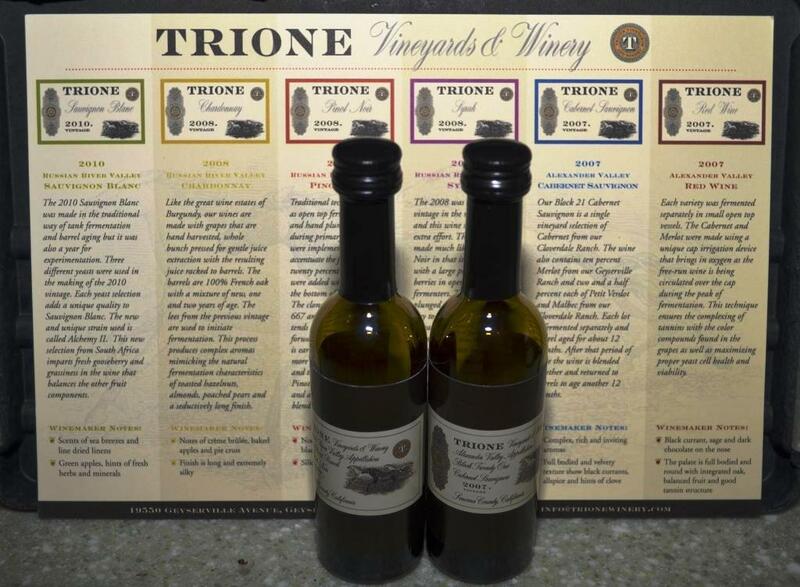 But this time, while in San Diego, California, I was simply blown away – 6 out of 6, 3 wines at $4.99 and 3 at $5.99, where perfectly drinkable wines which I would gladly drink again on any day! This was definitely a “how do they do it?? ?” moment, as I would never expect, for instance, Rosé or Zinfandel from California to have such a QPR, to taste as good as they did considering the amount of money I had to pay for them. Without further ado, let me present to you my 6 out of 6 set of “how do they do it?” wines from Trader Joe’s. I tip my hat to whomever is responsible for sourcing the wines for Trader Joe’s stores – to say “well done” is almost to say nothing – great job, and please keep doing it over and over again, to the delight of all the wine lovers out there. Cheers!